Permission(10 year)for the construction of a maturation warehouse facility consisting of 12 no. 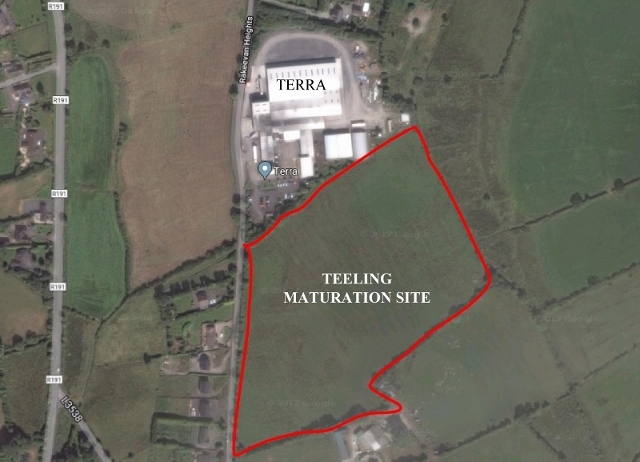 maturation warehouses, filling hall,ancillary buildings and all ancillary site development works at Moyvore, Co Westmeath. The proposed warehouses have a gross floor area of approximately 1,570m2 and a typical ridge height of approximately 11 metres. 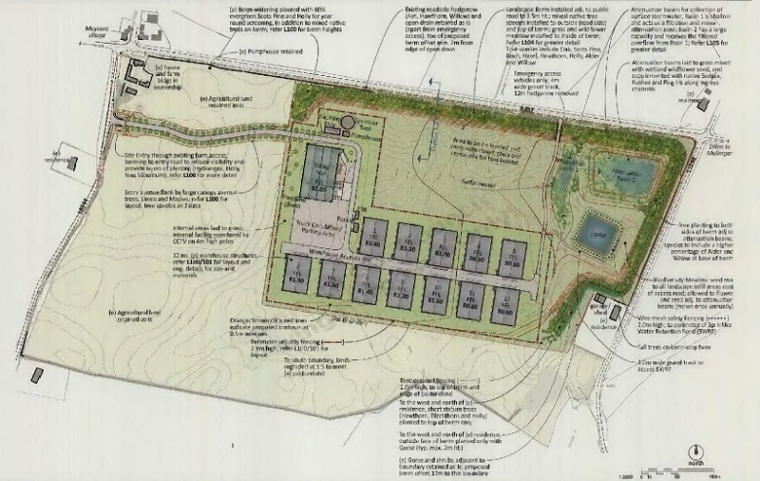 The proposed filling hall has associated water storage tank,8 no spirit storage vats,purified water treatment plant and loading dock; ancillary buildings and structures will include a single storey facilities building; single storey fork lift charging shed; single storey sprinkler pump-house; water sprinkler tank and ESB substation. Ancillary landscaping and site development works include a package sewage treatment plant and associated percolation area; sprinkler water retention pond;a surface water attenuation pond; berming, landscaping, perimeter fencing and gates.Access to the proposed facility will be via a new entrance from the L5344 with provision for emergency access from the R392.The proposed development relates to the provision of an establishment to which the Major Accident Directive applies. And now for something completely different...... beehive huts. To construct a micro craft distillery consisting of ten no. modular dodecagon shaped cabins along with all associated site works to include new site entrance , car parking area, advanced wastewater treatment system and other ancillary services . Proposed new whiskey distillery Lisburn. Click Scanned Files to access Docs.. Best viewed on Internet Explorer. The maturation warehouses would appear to be adjacent to the TERRA facility,so the liquid will not have to travel to far to the bottling line.